Ok I figure I'd start this. Admins do as you will, this could turn out to save people a lot of time and money if sticky. Everyone please just follow suite here, I'll make any suggestion you have to this topic so that its better and easier to follow. I figure its best for us all to chime in with the following for starters. Bluetooth ID: Unsure how I get this. Help and I'll update. Sensor bar: Bought from ebay long ago, can't find. Working: Everything so far. Been playing Zelda SS for hours without issues. not working: I bought 3 controllers, one of them wouldn't connect. I haven't tried connecting it to a real Wii yet to see if it's faulty or just a different technology. notes: I followed this guide. edit: If you have problems with this specific controller, feel free to PM me. notes: This is a wireless classic controller. No Wiimote required. Works with every BT stack I have used. Also compatible with GlovePIE. I use it as Dinput and Xinput on other games and steam but requires ppjoy and x360ce. Connection Advice: read my post under controllers on first page titled wiimote working on stock Bluetooth, try it, might work for you too. Working: Works well, no issues in game so far. Not working: If batteries run out or remote turned off, you may have to remove the device in bluetooth and re-pair. Sometimes involves a re-boot of the OS in order to do this properly. Notes: The Belkin USB bluetooth adapter doesn't appear to work in a USB 3.0 port, so make sure you have a spare legacy USB port free in order to use it. Didn't use the Belkin drivers, just put in the USB bluetooth adapter and let windows install. bought from: Ebay. Cost US$20.Delivered (Took about 2 weeks to Australia). Seller ID "sontoon" Listed as "Built In WiiMotion Plus Inside Remote Nunchuck For Wii"
bought from: Ebay. Cost about US$1.50 Delivered (Took about a week to Australia). 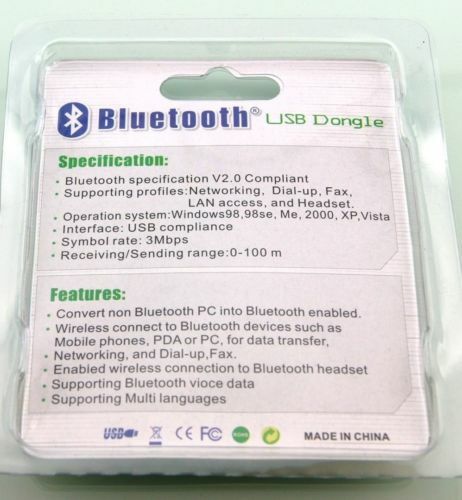 User ID "tomtop.wholesaler" listed as "NEW Mini Smallest USB 2.0 Bluetooth Dongle Adapter For PC laptop"
Bought from: http://www.nextronicsllc.com About US25 delivered (Took about 2 weeks to Australia). Working: Seems to be working perfectly. not working: Takes a few goes to get the thing to pair with Dolphin. Not sure the speaker works. Don't know what games use it, so I can't tell. notes: A bit plasticy. Other than that works great! Playing Skyward Sword at the moment. No issues. Walking across tightropes. Doing rolls. Firing the slingshot. wiimote: Official Nintendo wii-mote no motion plus. notes: If you want a cheap fake remote that is working, buy it. wiimote: 3rd Party 2-in-1 MotionPlus Remote Controller. Working: Everything, but sometimes randomly disconnects ingame. notes: It doesnt disconnect in games like New Super Mario Bros; but in games like Mario Galaxy 2 that use IR it disconnects more often; I found out that disabling rumble fix the issue in Mario Galaxy and so far Ive been playing 3-4 hours without a disconnection. Motion plus: N/A as hasn't arrived in mail yet. Wii Classic controller (1): Of course, official Nintendo brand. Sensor bar: None for me since I'm just playing Xenoblade Chronicles with this. 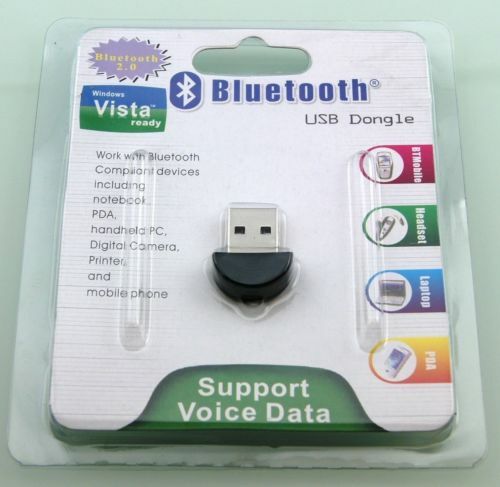 Connection Advice: A dongle definitely made a difference for me, as oppose to relying on my internal BT adapter. Super Special Thanks: admin89さん　for the small simple answer (in my thread). Bar: using 50 watt lights. notes: Everything works with this wand including the motion plug add-on. The IR is much better but I think I need a 12volt bar. wiimote: Official Nintendo wii-mote with motion plus inside. not working: IR does not work 100% with bar or candles. make it work but not well enough to play games. notes: I have tried both the Pair and Refresh buttons with no luck. The wiimote will just continue to flash all four lights without successfully pairing. I have also tried using Bluesoleil and GlovePIE with unfortunately the same results. If anyone has any ideas please let me know. A list of know sources to buy from that are reported working. Does not work with more than one wiimote connected. INFO: I'll add tips and tricks in this post. > Wii-bars are tricky atm. It's questionable whether or not the power source to the bar matters(see below). I have zero luck with a wireless off brand 4.5 volts ( 3 batteries ) where my friend has a 6 volt Duracell ( 4 batteries ) working perfectly. I have convert the wii bar to an external 12 volt power supply and I love the results. Candles didn't work at all for me and other report the same. I was able to get two 50 watt lights to work but iffy at best. Just got a version two ( the 3 LED per side version with OEM styleplug ) and I ran 7.5 volts to it with the best results ever. I can use my wii-mote up to 10 feet with no jitter. > some games give you trouble disconnecting but not others??? Check "alternate Wiimote timing" on those games. > Any device that may use a power supply can make things worse ( lots of interference ). Put the Bluetooth dongle out in the open if possible. At a minimum at the front of the computer. I added some more details to my own post so people can copy every aspect of the setup. Lets just say it works and is cheap. About US$47 total delivered. Resolution : None needed. Looks like I lucked out. nice idea! BTW mario galaxy uses the speaker. And the paring so far is true for any wii-mote. Also lets include Bar. Seems that is a big contender. Ok now that this is sticky just post or PM me your setups. Follow this guide. Or do the best you can to fill it out. (12-19-2011, 11:54 PM)ulao Wrote: I think it puts out 950 nms per IFR light. You should be aware that this is the wavelength of the light emitted and has nothing to do with its intensity (1nm = 10^-9m = 10^-5mm = 0.00001mm). Also, the voltage of the bar doesn't tell you anything about its intensity. good to know. Meany say the wave lengths make a difference in receiving. One would ask, how can you tell what X bar puts out? Also, assuming the power the light puts out would make a difference as well. If so why do the wireless bards run off of 4.5 where the wii uses a 12 volt source. If you have an LED and increase the voltage this will change the brightness, just as changing the resistance ( lower ) increases the brightness. Brightness or "Power" would be the amount of current times the voltage level at a given point measured in watts. (01-12-2012, 05:21 AM)ulao Wrote: good to know. Meany say the wave lengths make a difference in receiving. One would ask, how can you tell what X bar puts out? Also, assuming the power the light puts out would make a difference as well. If so why do the wireless bards run off of 4.5 where the wii uses a 12 volt source. If you have an LED and increase the voltage this will change the brightness, just as changing the resistance ( lower ) increases the brightness. Sure, but you don't know how those LEDs are connected to the power source internally, they might be in parallel in one of the bars and in series in the other one, and there might be additional resistors included somewhere. You just can't know if you don't unscrew it. Unscrewing it and measuring the voltage directly at the LEDs would indeed tell you something. Measuring the power the bar takes is slightly better, it at least gives you some information. However, it's not a very reliable value, as one of the models might be more efficient than the other one, or the LEDs used in one model match the detector wavelength better. The real energy emitted is difficult to measure with household means. I think most motion detectors work with infrared, so if you have one, you might be able to use it for that (however you'd need to move the bar with a stick or so in order not to stand in the way... could be a fun experiment ;D). Doesn't make much sense, tough. Candles have a temperature of around 1400°C, so you see they emit most light in that wavelength (so most light they emit is actually infrared, and not visible; that's (at least part of) why lighting bulbs are so ineffective, by the way). good to know info man, I have yet to get my wii-bar, maybe I'll open it up and have a look at how its designed. Agree on the candle thought process but fpor me 50 watt bulbs work and candles do not.